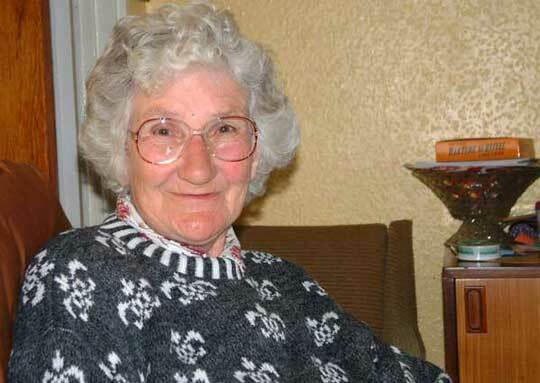 Winnie has lived and worked in Devonport most of her life, but her childhood was spent in nearby Millbrook. I've known her for only ten years, during the millennium decade, but in that time she was a good friend to me and did as much as she could to help in local events. From what I've learnt, Winnie has been a sociable person her entire life, always mixing-in, helping with children, with local events, helping to set up dances and charity work. She's one of those people that every neighbourhood needs. Winnie doesn't have a computer, and I don't get to see her much nowadays, so she won't even see this web page, but this is my little tribute to her. 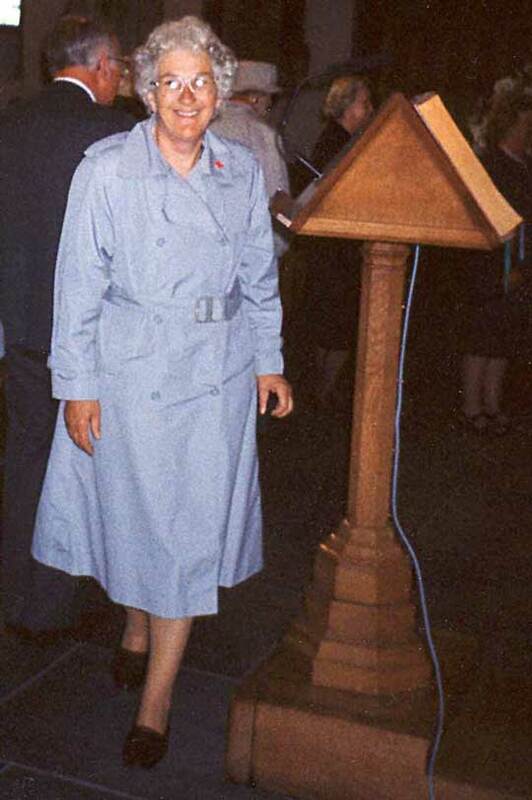 During the war Winnie was one of the first women to work in engineering in British dockyards. Here in Devonport she worked as a welder. I think she loved it, and she certainly liked the good pay she received from it. The image below shows an image of Winnie in 1945. 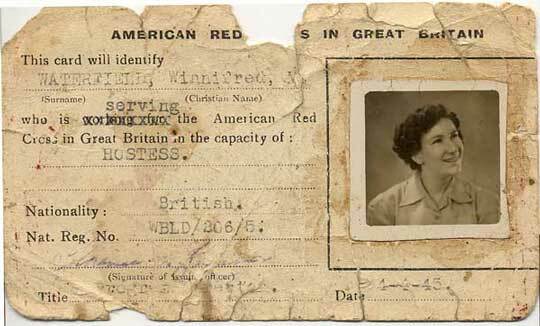 This is her red-cross identity card showing her maiden name of Waterfield. This next image was probably during the 1970s..... I'm not sure where it was taken, but I recall Winnie telling me it was during a neighbourhood event - it could be inside St Aubyns Church? 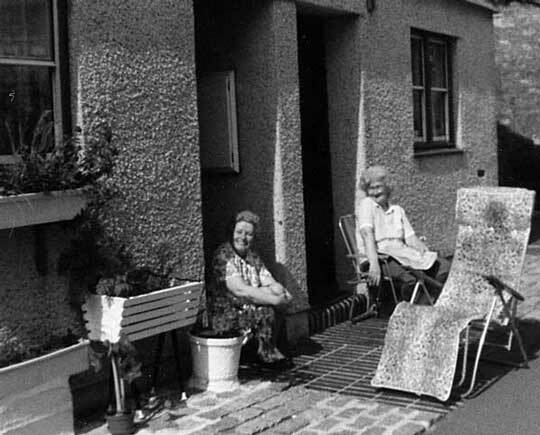 Below is Winnie and her friend and neighbour Barbara Wilkinson, sunbathing outside their homes in Devonport - taken in the late 1980s. Now, twenty years later, they both still sit there every summer, catching the sun as usual, but these days both of their front yards are smothered in flowers. You wouldn't think there's room would you, but it's surprising what they've both done with four feet of paving. In the early 1970's Winnie was a member of the committee for the Devonport Carnival; she was the Social Chairman. This site has a page on the Devonport Carnival, and Win is mentioned, along with her memories and photos, under the 1973 heading. 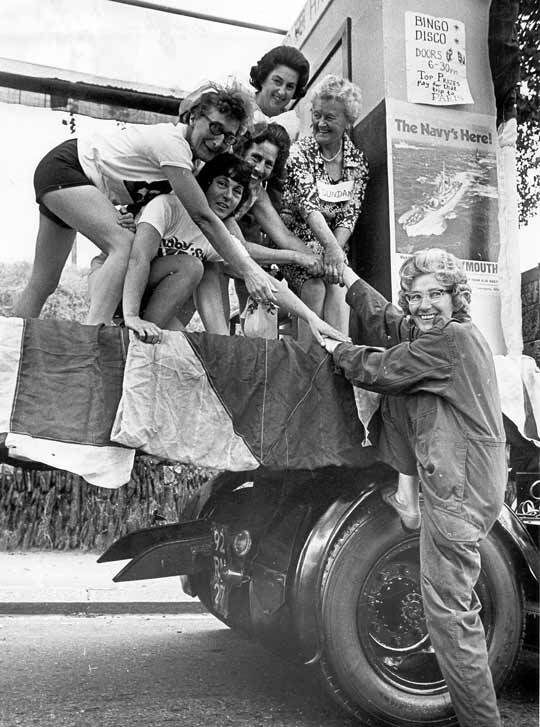 Photo: Winnie climbing aboard a Devonport Carnival float - early 1970s. Does anyone recognise themself amongst the ladies on the lorry? This last picture is fairly recent; I took it Winnies front-room around 2007.